Even though my ostensible first novel only came out a few years ago, I've been writing ever since my chubby little fingers were capable of scrawling squiggly approximations of letters. 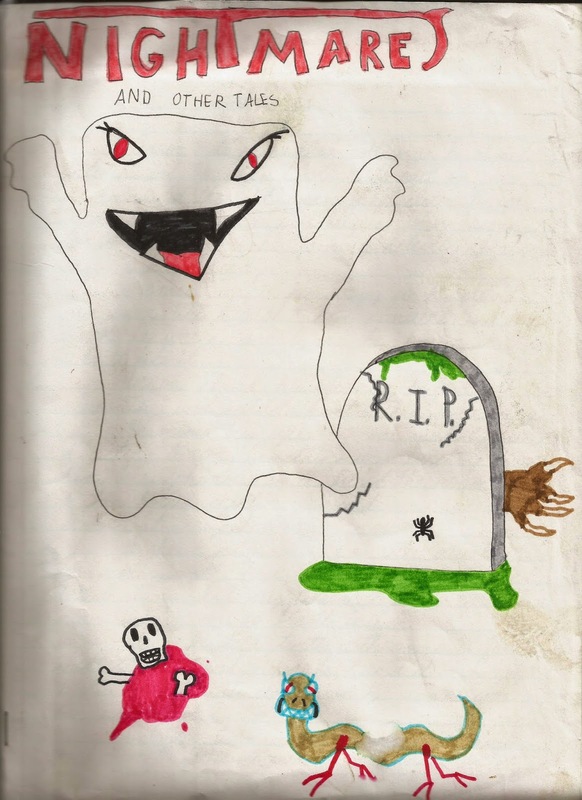 I distinctly remember some of my school journal entries being succinct fictional works, many of which involved Godzilla or a sentient puddle of acid with grizzly bear arms named Gory Glob. Eventually, I took the next step and started creating full-length works. That's right, Henry Garrison wasn't actually my first book...not by a long shot. Don't believe me? Well check this out!